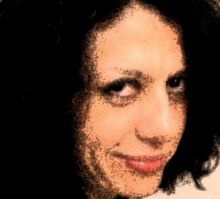 NORA NADJARIAN is a poet and writer from Cyprus. She has published three collections of poetry and her work has won prizes or been commended in various international competitions, including the Scottish International Open Poetry Competition, the Commonwealth Short Story Competition, and the Féile Filíochta International Poetry Competition (Ireland). Her first collection of short stories, Ledra Street, was published in 2006. Her second poetry collection Cleft in Twain was one of the books from Cyprus recommended in an article in The Guardian on the literature of the new member states of the European Union (1st May 2004). ). Her work was also included in May Day: Young Literature from the Ten New Member States of the European Union, published by the European Commission. Her poems and short stories have been included in various anthologies and journals in Cyprus, Germany, India, Israel, New Zealand, the UK and the United States. In 2009, her story “And the Seven Dwarves” was a finalist from over 900 submissions in the Binnacle Sixth Annual International Ultra-Short Competition at The University of Maine at Machias (USA). Writing is magic. It relaxes me, makes me happy, frustrates me, moves me, makes me invent the world. Nora, thank you - I always valute your opinion. Hope one day to meet in your part of the world! thanks to you Nora for comments on Mrs. Doyle...great to meet you! Hi Nora. Thanks for reading and commenting on Eight States Away - I appreciate both. foster. Thanks Nora for your comment on His Unlocked Window. Much appreciated. Nora, Thanks for the thumbs up for "The Birds." Congratulations on Folded Word, Nora :)! Nope. I'm not a film director, Nora. I'm a retired teacher. That's just Matt's sense of humor. Received your entry for the Glass Woman Prize; will treat it with great care! Yes, my mother tongue is German. Yours? Greek? (I wanted to travel to Greece, specifically Lesbos, this summer, but couldn't get around to it--now I'm planning for 2 years from now for my 60th birthday). nora, your piece "a conversation with angels" (in the metazen christmas book) is absolutely breaktakingly wonderful! Thanks for saying hello, Nora! Very cool that you are from Cyprus...would love to travel there some day! congrats on the picfic award! that is fantastic. "zoo" is fantastic too - it'll make a smashing video! Hello and welcome. Thank you for joining the multimedia group! nora, feel free to add sushi to fourpaperletters. Nora, thanks for reading (and faving!) Maude Nichols; I know it's not easy to get into a different form of storytelling and am glad you made the effort! Nora, I've really been enjoying reading your work around the Web. Great work. I like your blog, Nora - but I really like your work. Excellent writing. excellent piece in elimae. wow. nice to be in the issue with you, nora. You are most welcome Nora. Welcome to the Prick of the Spindle group. Cheers! I really love your work - looking forward to reading more here at Fnaut. You must log in to write on Nora Nadjarian's wall.